It is all good news for the Mercedes-Benz C-class lovers and fans. The German luxury car manufacturer, Mercedes Benz has unveiled the latest, updated and face-lifted C-Class, soon to been launched in Indian markets. It was officially unveiled very recently, and the automaker says that this new updated offering will encompass more features along with the up-to-date looks. Subtle exterior updates are expected to be liked while the latest engine claims to give 31 percent higher fuel economy. It will be equipped by a 7-speed 7G Tronic (automatic transmission) and will be offered with a variety of diesel and petrol engines. Certain new features like the Attention assist, Start-Stop function, Driving assist, Proximity control system and the DISTRONIC PLUS will be made available. 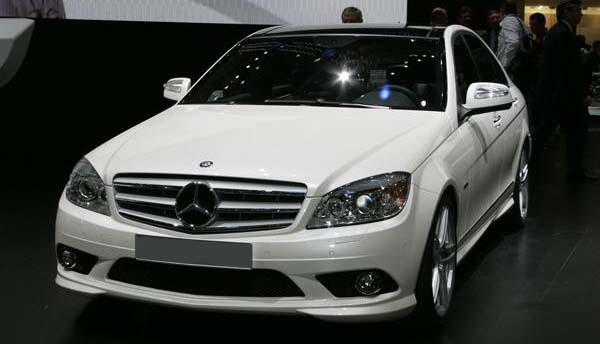 The new updated C-class is expected to hit the Indian markets during the festive season of Diwali 2011.